We have a 2150 self installed PV system that uses Enphase micro-inverters. In this kind of system, each PV panel gets its own small Enphase inverter, and each inverter reports back to the Enphase internet server on a regular basis throughout the day. 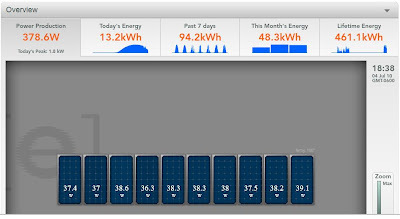 Enphase then puts the data together on a website that they set up for each customer PV array -- it provides near realtime data on how your PV array is doing. This shows the output for the 4th of July. 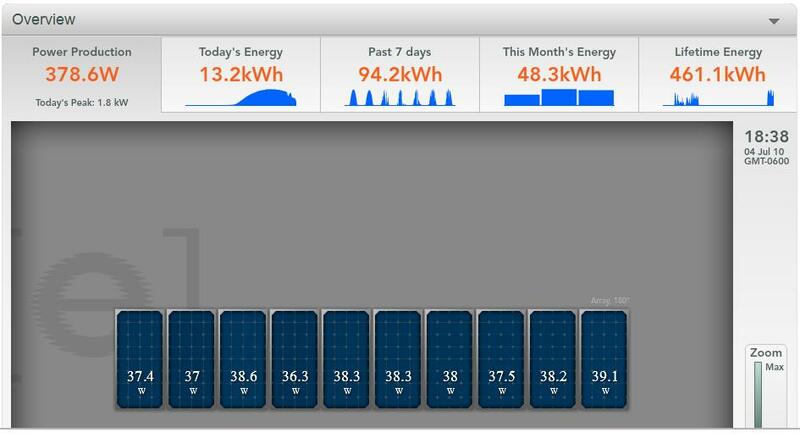 The first page shows the current output by individual PV panel, and some day, week and total life summaries. 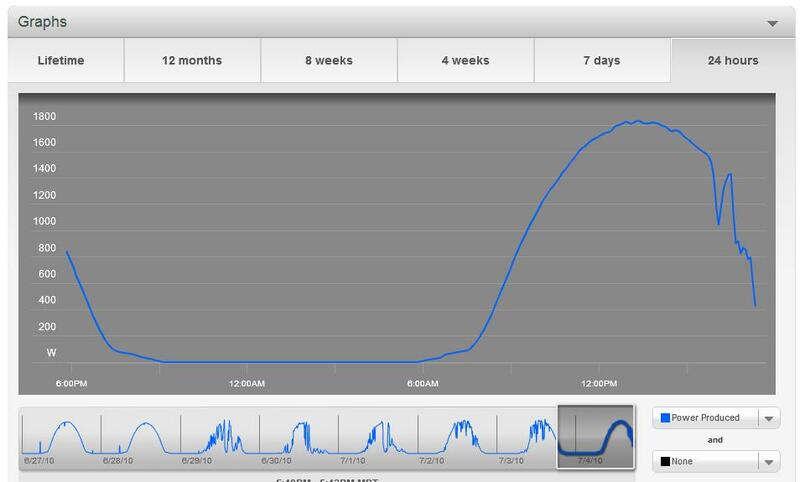 The 2nd graph shows the power output history for the whole array for up to 7 days. The system also emails out notes when something has gone wrong with the system and needs attention. I have to say that while I thought the online reporting was mostly fluff, I've come around to thinking that this is a good way to do it -- its nice to know that someone else in monitoring the system and will let you know when something breaks.